The lawyer who speaks for Baby Charlie Gard, the infant fighting for his life against a government order that he should be allowed to die, has been revealed as the chairman of a charity which campaigns to make euthanasia legal in the United Kingdom. The appointment of a legal guardian for baby Charlie, rather than allowing his parents to represent him in court, and the background of lawyer Victoria Butler-Cole, has been a source of concern to parents Connie Yates and Chris Gard. 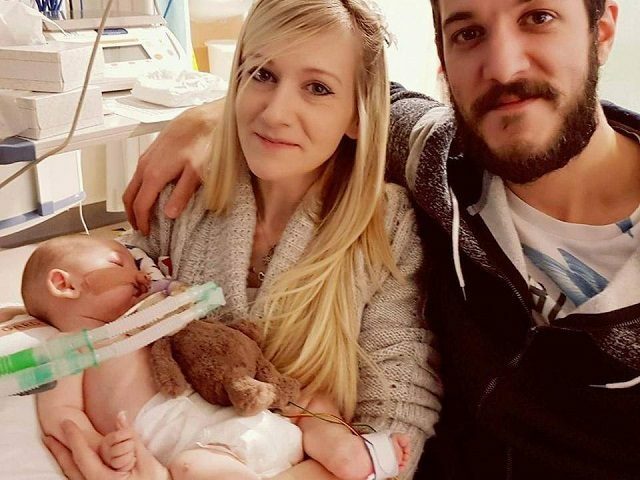 The couple has fought an eight-month legal battle against a decision within Britain’s health service to switch off their son’s life support machine, arguing that they should be allowed to take Charlie to the United States for experimental treatment. 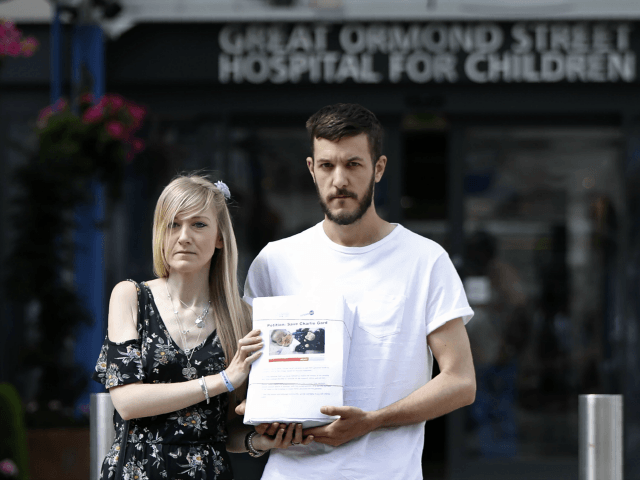 Connie Yates (L) and Chris Gard, parents of terminally-ill 10-month-old Charlie Gard, pose with a petition of signatures supporting their case, prior to delivering it to the Great Ormond Street Hospital for Children in central London on July 9, 2017. The paper reports there is a lot of crossover between the two UK charities, and that trustees like Mrs Butler-Cole can only sit on the board of one charity if they also support the work of the other. Charity Compassion in Dying rejected the suggestion there was any conflict of interest, stating “there are clear differences” between campaigning for the legalisation of euthanasia and being the legal advocate for a child ordered to be taken off life support. Baby Charlie has received messages of support from around the world, including from the Vatican and U.S. President Donald Trump, after his parent’s long-fought campaign achieved recognition and their campaign to raise money to treat Charlie abroad hit £1.3 million. New York Neurologist Dr Michio Hiurano, who believes his new treatment may be able to improve Charlie’s condition is reported to have flown to the United Kingdom Monday to assess the infant, and give his findings to a British court. 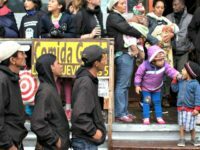 Once he has done so the court may change their decision — however, in previous rulings the court had said the treatment would not work and that it would be better to allow Charlie to die in London. The court will rule again in a week.